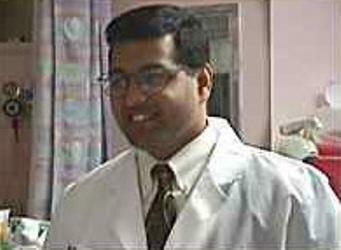 Indian American Neal Patel, who is currently the chief health information officer at Vanderbilt University Medical Center, will be replacing Kevin Johnson as the senior vice president of health information technology at Vanderbilt University Medical Center on January 1, 2019, while Johnson will continue to serve as chair of the Department of Biomedical Informatics. According to a press release, Johnson and Patel have served as co-leads overseeing last year’s go-live launch of a new eStar platform, which comprised of 25 different Epic modules and was designed to support an integrated clinical, administrative and billing infrastructure. They also led VUMC’s post-implementation efforts to optimize eStar. “As the new leader of HealthIT, Patel will be responsible for the team serving the medical center’s information system users, while supporting ongoing advancements to drive continued improvement in clinical safety, quality and cost,” according to VUMC. “With Dr. Patel succeeding Dr. Johnson in this role, there is an assurance of continuity as we move forward. With our medical center and health system at an important inflection point and in a period of significant growth, I want to express my appreciation to Neal for assuming these new responsibilities. I look forward to working closely with him in this new role,” John Manning Jr., the chief operating officer and corporate chief of staff, is quoted saying in a press release. VUMC’s eStar project, called EpicLeap, was the culmination of a two-year implementation effort and represented a dramatic departure for the organization, which has internally-developed much of its health IT over the past 25 years including the StarPanel electronic health record, according to a press release.